3 Bedroom Semi Detached House For Sale in Liverpool for Asking Price £190,000. 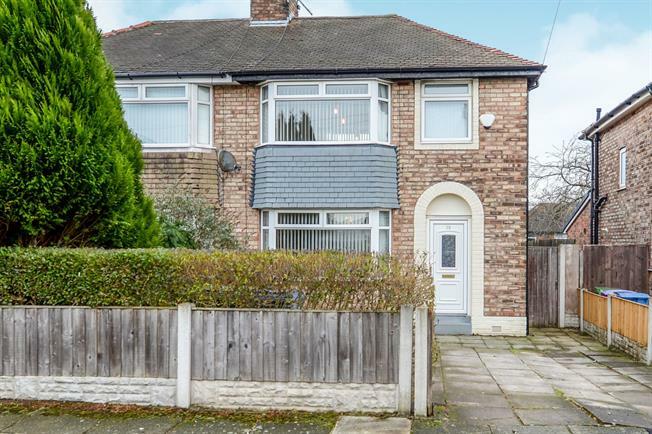 Located in the highly desirable area of Childwall, L16 is this three bedroom semi detached property, proudly brought to the market by Entwistle Green. Situated on Basil Close, the property is approached via a paved driveway providing off road parking. The area benefits from excellent schooling, for all ages, easy access to the M62 motorway and both local and superstore shopping. This lovely family home is beautifully presented and offers a spacious living accommodation. A welcoming hallway allows access to a large lounge/dining area and through to the kitchen area. To the first floor, there are three bedrooms and a family bathroom. Externally, there is off street parking and a large garden to the rear.